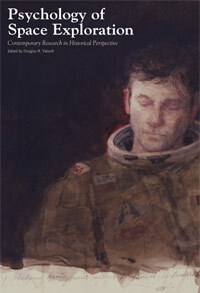 A new NASA publication is now available for free download from the NSS website: Psychology of Space Exploration — Contemporary Research in Historical Perspective, edited by Douglas Vakoch. 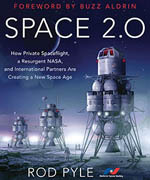 The 267-page book is NASA Special Publication SP-4411 (2011). As we stand poised on the verge of a new era of spaceflight, we must rethink every element, including the human dimension. This book explores some of the contributions of psychology to yesterday’s great space race, today’s orbiter and International Space Station missions, and tomorrow’s journeys beyond Earth’s orbit. Early missions into space were typically brief, and crews were small, often drawn from a single nation. 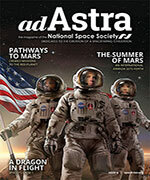 As an intensely competitive space race has given way to international cooperation over the decades, the challenges of communicating across cultural boundaries and dealing with interpersonal conflicts have become increasingly important, requiring different coping skills and sensibilities from “the right stuff” of early astronauts. As astronauts travel to asteroids or establish a permanent colony on the Moon, with the eventual goal of reaching Mars, the duration of expeditions will increase markedly, as will the psychosocial stresses. Away from their home planet for extended times, future spacefarers will need to be increasingly self-sufficient and autonomous while they simultaneously deal with the complexities of heterogeneous, multicultural crews. Psychology of Space Exploration: Contemporary Research in Historical Perspective provides an analysis of these and other challenges facing future space explorers while at the same time presenting new empirical research on topics ranging from simulation studies of commercial spaceflights to the psychological benefits of viewing Earth from space. In addition to examining contemporary psychological research, each essay also explicitly addresses the history of the psychology of space exploration. Leading contributors to the field place the latest theories and empirical findings in historical context by examining changes in space missions over the past half century, as well as reviewing developments in psychological science during the same period. The essays are innovative in their approaches and conclusions, providing novel insights for behavioral researchers and historians alike.